Jobu weighs in on the release of Peyton Manning. Wait Eli Manning has a brother that is also a quarterback in the NFL? I don’t believe it! I, of course, am joking. We’re here to talk about future Hall of Famer Peyton Manning and his sudden state of unemployment. That’s right, the Indianapolis Colts finally did what almost everyone was expecting them to do on Wednesday morning when they released the best quarter back in franchise history. As amazing as Manning has been for the franchise, it all came down to money in the end. Had the Colts not released or traded Manning this week, they would have owed him a $28MM roster bonus. I guess the question is, did the Colts do the right thing? There’s a couple of different ways to look at that. From the loyalty angle, the Colts look a bit douchey. They are the ones who signed Peyton to that huge money contract. They did so because he pretty much single-handedly rebuilt the franchise and brought it back to glory (yes money from ownership and smart personnel decision also helped). If it wasn’t for Peyton Manning at the helm, do the Colts become perennial Super Bowl contenders? 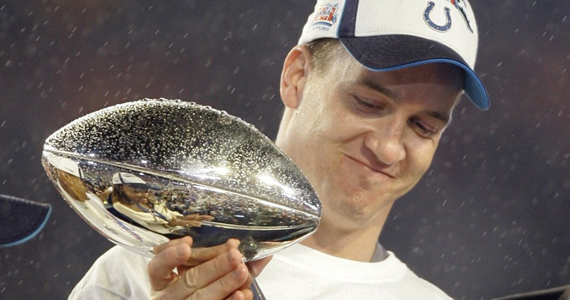 Do they make two Super Bowls and win one (yeah, just one for this Manning)? You can’t really say they wouldn’t have had the success they had without Peyton, but you can say that a huge key to a successful franchise is the quarterback position. You can’t win too many Super Bowls with Jeff George at the helm. 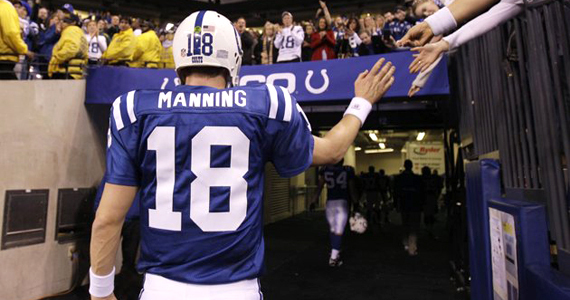 The Colts drafted Manning with the first overall pick in the 1998 draft with the hopes that he could turn around a franchise that had only managed three playoff seasons in twenty years. Two of those were actually under Manning’s predecessor, Jim Harbaugh, who led the Colts to the playoffs in 1995 and 1996 before tanking and going 3-13 in 1997. In Harbaugh’s defense, he was nearing the end of his career, and he’d taken the franchise as far as he could. The Colts picked a perfect time to draft a new QB, and were lucky enough to get the opportunity to take the kid from Tennessee first overall. As a side note, the QBs in Indianapolis before Harbaugh were the aforementioned Jeff George (also taken first overall for some reason), Jack Trudeau and Chris Chandler. to Colts fans, Manning must have been a huge relief. They hadn’t seen an arm like Peyton’s since Johnny Unitas. While the Colts struggled in Manning’s first season (they won only three games again), Peyton set a bunch of rookie records, including yards with 3,739 (since broken by Cam Newton) and TDs with 26. He did throw 28 INTs, but the learning experience soon paid off. The very next season, the Colts went 13-3 and never looked back. By the next season, Manning was one the best quarterbacks in the league, and the Colts remained one of the leagues best teams for the next twelve years. While the Colts amassed win after win, Manning racked up personal accolades, including four league MVPs (2003, 2004, 2008, 2009). As I said before, he led the Colts to two Super Bowls, beating the Bears in 2006 and losing to the Saints in 2009. 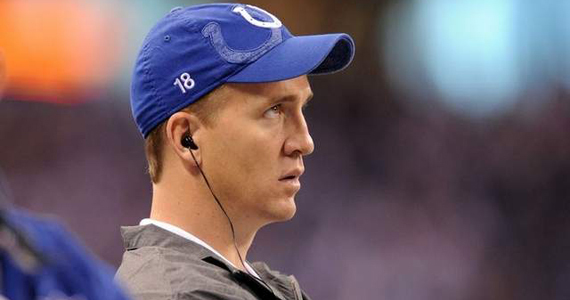 The rules of loyalty would tell the Colts to give Manning his money. He basically made the current organization, and their fancy new Super Bowl-hosting stadium was built on Peyton’s golden arm. The “right” thing to do here would be to honor the contract, regardless of whether or not it’s the best thing for the franchise. Peyton gave them fourteen years worth of everything he had to give, so why shouldn’t they give him the money and keep him around another year? Unfortunately, when it comes to the NFL, contracts aren’t the only things that aren’t guaranteed. In reality, where loyalty doesn’t pay bills or sign draft picks, $28MM is just too big an amount to gamble on Manning a this time in his career. His neck, although medically cleared, is certainly not as stable as it once was. There are still questions about whether or not Peyton Manning can still go out on the field and be Peyton Manning. 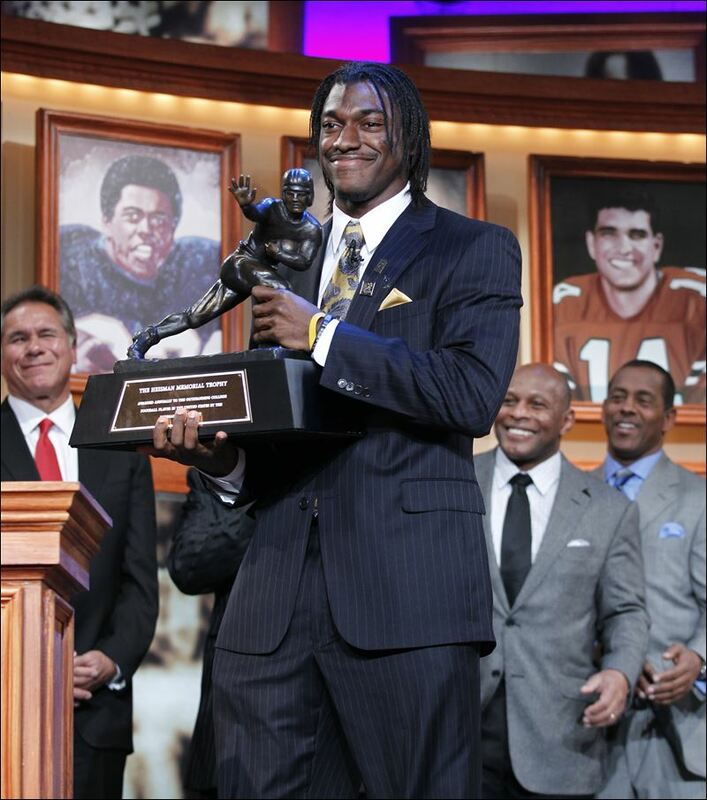 Is he the guy with the 54,828 yards and 399 career TDs, or is he somewhere south of that guy now? Can he even go at 100% anymore? 90%? 75%? Nobody will really know until Manning steps onto a field in August, and makes it all the way through January (or maybe February) without his head falling off (maybe literally?). Also, the Colts are in need of a serious offensive and defensive overhaul. They need help everywhere, and that $28MM would go a long way to get them a new QB and maybe even someone to run the ball too (sorry Joseph Addai/Donald Brown). Now that Reggie Wayne is getting old, they need help there as well. The defense hasn’t always been their strongest point, but it’s been a while since they’ve even been decent. Remember when they gave up 62 points to the Saints? That had nothing to do with Manning being hurt. The Colts would be almost foolish not to use that money to fix the other gaping holes in their lineups. They can start this April by taking either Andrew Luck or Heisman Trophy winner Robert Griffin III with the first overall pick. I’m actually very curious to see which stud QB they’ll end up taking. Just a few months ago I predicted it could be Luck if the Colts ended up with the first pick, but RG3’s stock has risen greatly the last couple of months. Either way, the Colts will solve the quarterback issue in about a month-and-a-half, and turn their focus to the rest of the team. Finally, if he sets aside his own sense of loyalty and team pride, why would Peyton Manning ever want to play for the Colts again? Even he isn’t going to be able to turn this franchise around by the time he has to retire. This team didn’t lose fourteen games because Manning was injured. He would have been the only thing keeping them afloat, but the Colts are in for another disappointing year in 2012, no matter who is at the helm. Peyton could, and should, do a lot better with his last remaining years. What if 2012 is it for him? He needs to go to a team that is either already contending, or in need of a HOF quarterback to turn them into serious contenders. Assuming money isn’t an issue, Manning will pretty much have his pick when it comes to where he’s going to play in 2012. Just from taking a quick look at the standings, I see a few teams that could really be great for Peyton. If he wants to stay in the AFC, The Jets (sorry Mark Sanchez), Tennessee Titans, Oakland Raiders and even the Denver Broncos could be a great fit. I could even see the 49ers being a perfect fit for Peyton. Imagine him with that defense behind him (they somehow already won 13 games with Alex Smith). There are other teams that could use him too, but they are either not good enough, or have an established young quarterback at the helm (sorry Tim Tebow). In the NFC, I could see Peyton ending up in Chicago (although they would need a little help at wide receiver too), or Arizona. The Cardinals are a solid team with good receivers, but had no real QB last year (sorry Kevin Kolb, but I’d dump you for Peyton in a second). I personally would love to see Peyton on the Raiders. There’s something about the silver and black that makes players look cool, especially badass quarterbacks like Manning (also, you know Al Davis would totally sign him if he hadn’t died). At the same time, if I’m the Raiders, I do whatever’s in my power to get Peyton Manning to sign on the dotted line. Carson Palmer, although he had a long layoff last season as well, looked truly awful in Oakland. 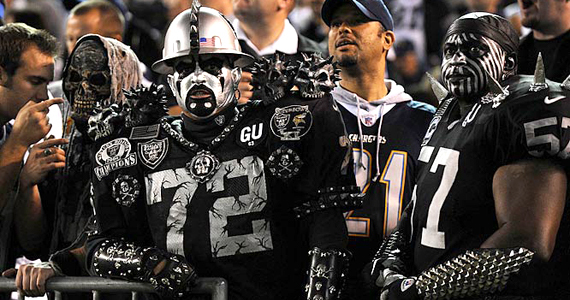 He’s not taking the Raiders anywhere but down. Jason Campbell, whose injury opened the door for Palmer, is a nice QB. He won’t make too many mistakes, but he’s no Peyton Manning either. The Raiders have a lot of fast, young wide outs (Darius Heyward-Bey, Jacoby Ford) itching for someone to throw them the ball. Couple that potential passing game with the running back tandem of Darren McFadden and Michael Bush, and you could have a special offense there. If they could somehow afford him, Manning would easily give the Raiders what they would need to win the AFC West hands down (sorry Phillip Rivers). All I know is that it’s a bit of a sad time in Indianapolis right now, but it’s gonna be a whole lot of fun somewhere else in a couple of months. Hell, if he really needs a job, he could always come to the Giants and back up Little Brother. I’m not a doctor, nor have I ever played one on TV, but when the injury in question is above the shoulders, it scares me. What are the odds that he’s never going to get blind-sided again? I realize that every NFL QB is probably one big hit away from retirement, but his family history along these lines is troubling. If he was my son, I would tell him to walk away from the game. Walk away while you still can.